Glasgow is a great city to visit and to live in. 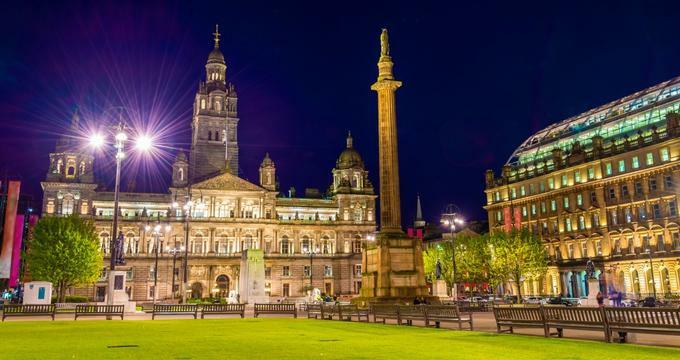 Ancient and steeped in tradition and history, Glasgow is also a vibrant, modern city with lively areas such as Buchanan Street, which locals call "the style mile," great entertainment spots like the Corinthian Club and the Glasgow Science Centre. Glasgow's green spaces and parks are among the most beautiful in the world, and visitors can easily get lost in the vast, lush beauty of George's Square, Glasgow Green, or Glasgow Botanic Gardens. Known as Glasgow's "style mile," Buchanan Street is lively Pedestrian Street paved with lovely granite stonework and lined on both sides with Victorian architectural gems mixed with modern but impressive new additions. 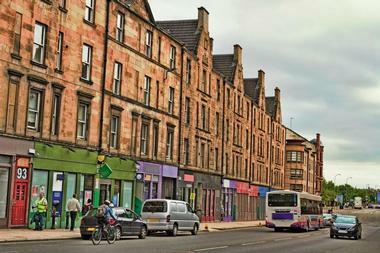 This stylish, well-done combination has won the Buchanan Street coveted Academy of Urbanism "Great Street Award." The Glasgow Royal Concert Hall is also here, as well as the controversial statue of the politician Donald Dewar. At night, beautiful blue neon lights turn the street into a fairytale playground for shoppers and tourists. 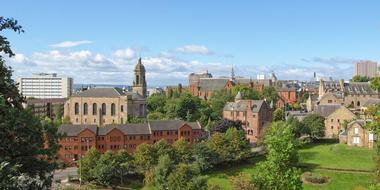 Nearby are St George's-Tron Church and the building that houses the Glasgow Stock Exchange. The Gallery of Modern Art is situated on the adjacent Royal Exchange Square. 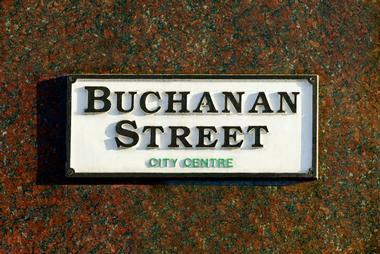 Located in the heart of the city, Buchanan Street is shoppers' paradise, with Buchanan Galleries and flagship stores of many upscale designers. Snuggled between High Street and Castle Street with the medieval Glasgow Cathedral and Glasgow Cross featuring the Tron Steeple, East End is the city's ancient heart. 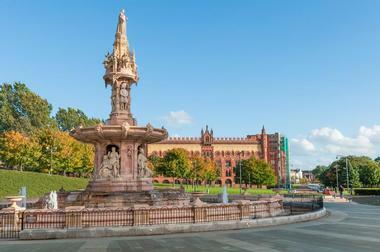 This is the place where you will find Barrowland Ballroom, a legendary Glasgow music venue, the Barras, the biggest and the most popular weekend market, and Glasgow Green, a beautiful park that is one of the oldest in the country. You will also find the People's Palace, a pleasant, unpretentious museum where you can learn about Glasgow's history. Next door are the Winter Gardens, consisting of a gorgeous, ornate Victorian glasshouse with a water garden and lush tropical greenery. There is also a nice café where you can relax and enjoy the serenity of the vibrant plant world. Outside the Palace is the Doulton Fountain, an ornate, beautifully restored Victorian terracotta monument to the British Empire. 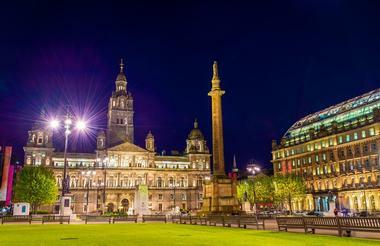 George Square is Glasgow`s main open space with a grand City Chambers (the city council building) at its focus. At the center, you can see a statue of Sir Walter Scott, Scotland's celebrated writer. There are a few other statues around, such as the one of Robert Burns. The square was established in 1781, and a number of stately homes were built around it between 1787 and the 1820s. Only one remains, a hotel on the square's north side. The square is often a location for large public gatherings, rallies, and demonstrations, such as the famous one held on Black Friday in 1919. Around Christmas time, the square is festive and cheerful with colorful lights. During the hot summer days, local office workers enjoy the sun from one of many benches. Glasgow Cathedral is one of Scotland's oldest and most magnificent medieval large buildings. Consecrated in 1197, the Cathedral is believed to have been built on the site of the tomb of St. Kentigern, a patron saint of Glasgow, who was buried on the site in AD 612, and the event therefore marks the birthplace of Glasgow. It is the only Scottish cathedral to survive the 1560 Reformation undamaged. It is an exceptional example of Scottish Gothic architecture. Some of the most interesting features to pay attention to when strolling through the cathedral are stone bosses intricately carved on the ceiling of the Blackadder Aisle and a very fine post post-war collection of stained glass windows. 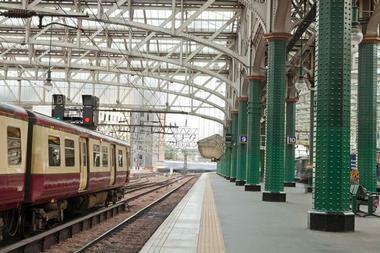 Glasgow Central Tours offers a unique glimpse behind the beautiful architecture of the Glasgow Central Station on an hour and half walking tour of dark subterranean passageways, spooky tunnels, noisy boiler rooms, railway vaults, and narrow staircases. You will be walking deep under the city streets and hear the stories of famous people who waited on the platforms of the iconic historic 1879 building. You will finally get the answer to often asked questions such as why the main gates to the station are painted green and gold or what is supporting the station roof if there are no supporting pillars. Located in the heart of Glasgow Green, a beautiful old park on the bank of the River Clyde in the east part of Glasgow, the People's Palace is the museum of Glasgow's social history, featuring a collection of original artefacts, photos, film, and prints that offer wonderful insight into the lives of Glasgow residents from the end of 18th century to the 20th century. The collections cover important aspects of city life such as Tobacco Lords and Trade Unions. Some of the most outstanding collections are Billy Connolly's Banana Boots and Dancing At The Barrowlands. After enjoying the museum, stop by the Winter Gardens for a stroll among exotic tropical plants and have a cup of coffee in the quaint coffee shop. The Glasgow School of Art is a public art school founded in 1845 offering university-level programs in fine art, architecture, and design. The school is located in the Mackintosh Building, one of Glasgow's architectural masterpieces designed by Charles Rennie Mackintosh in 1897. The school consists of three academic schools: the Mackintosh School of Architecture, the School of Design, and the School of Fine Arts. Each school has its own academic programs and research centers. In addition, there is the Digital Design Studio, which specializes in visualization and simulation. 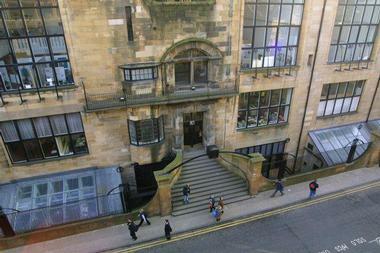 The Glasgow School of Art organizes a range of events and exhibitions every year. 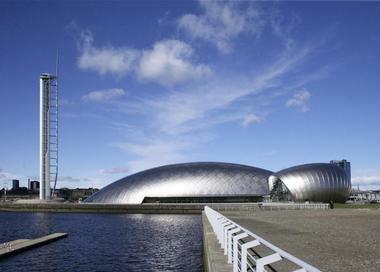 The Glasgow Science Centre is a fascinating attraction for kids and adults that interprets technology and science in inspiring and unique ways. Standing near the River Clyde in the Clyde Waterfront Regeneration area, the Centre was opened in 2001. There are two acres of exciting interactive exhibits, shows, activities, an IMAX cinema, and a planetarium. Visitors enjoy live science shows with whizzes, pops, and flashes. They can go aboard the Big Explorer in the Waterways exhibit, climb the bubble wall, explore the night sky in the planetarium, or become mesmerized by the Vortex tunnel or the Phantom Hand. 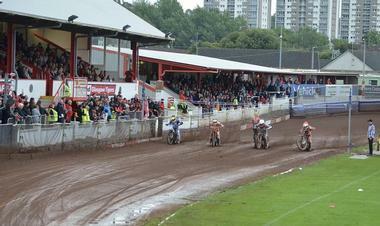 Motorcycle speedway is not very popular in Scotland, and the Glasgow Tigers are the only speedway team in the west Scotland. The team was formed in 1928 and competes in the British Premier League. There are very few speedway tracks in the country, and the Tigers race at Saracen Park and the newly developed Peugeot Ashfield Stadium in the north of Glasgow. The Tigers have been Premier League champions three times. The racing season runs from March to October, and there are 12 matches at home and 12 away. The Tigers also participate in the Knockout Cup. House for an Art Lover is an art gallery, event venue, exhibition space, café, artist studio, and a lovely place to visit. Located in the beautiful Glasgow's Ballahouston Park, the House was designed in 1901 by Glasgow’s leading architect of the time Charles Rennie Mackintosh as an entry for a competition for an Art Lovers House organized by German magazine "Zeitschrift Fur Innendekoration." The house was not built until 1996 when a group of Mackintosh's admirers decided to build his plans. The house was designed as a posh country retreat for people of taste and culture. Today, the house is used to stimulate interest in art, architecture, and design, and the studios, exhibition spaces, and scholarships are available to everyone. Kelvingrove Art Gallery and Museum is equally popular among the locals and tourists and is one of the most visited Glasgow attractions. This lovely old museum, established in 1901, is home to one of the greatest art collections in Europe with more than 8000 art and natural history objects displayed in 22 themed galleries. You can see Dutch Old masters, Salvador Dali's Christ of St. John of the Cross, significant Scottish art, dinosaur bones in the natural history gallery, Scottish arms and armor, objects related to Scottish history and early settlement, and diverse objects that portray world cultures. The Museum has been declared a Recognised Collection of National Significance. 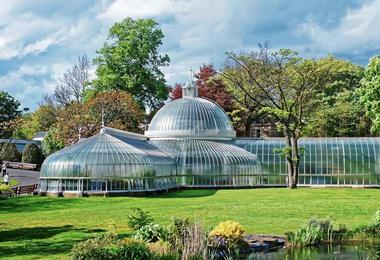 Glasgow Botanic Gardens is located in Glasgow's West End on the banks of the River Kelvin. 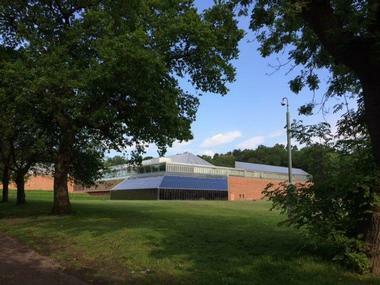 It is a popular place for locals and tourists to have a picnic, stroll through the beautiful plant collections, sit in the shade of the verdant woodland copses, walk by the river, and visit the famous Kibble Palace. 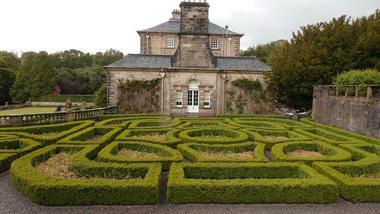 The gardens were created in 1817 and are managed by Glasgow City Council. The lovely Heritage Trail will take you through the gardens and end at the Arboretum. The gardens have several greenhouses, but the most significant and striking is the Kibble Palace, which was made from glass and wrought iron in the 19th century and designed by the eccentric but entrepreneurial John Kibble. The greenhouse is home to a wonderful collection of tree ferns and exotic plants that normally grow in tropical rainforests. There is also a charming tearoom in the former curator's house and the kids' playground. Located in South Glasgow in Pollok, Pollok Country Park is the largest park in Glasgow and the sole Country Park in the city. It spreads over 146 hectares of fields, forests, gardens, and many of the city's important structures. It is a peaceful, green oasis where residents share nature with wildlife. Within the park are the Pollok House (an elegant, posh country house that belonged to the Maxwell family for over 700 years), the Pollok Cricket Club, the Pollokshaws Bowling Club, and an eclectic art collection donated by the shipping magnate Sir William Burrell, a collection he named. There is also a lovely walled garden, a play park, Old Stable Courtyard and Sawmill, a wildlife garden, and Highland cattle. 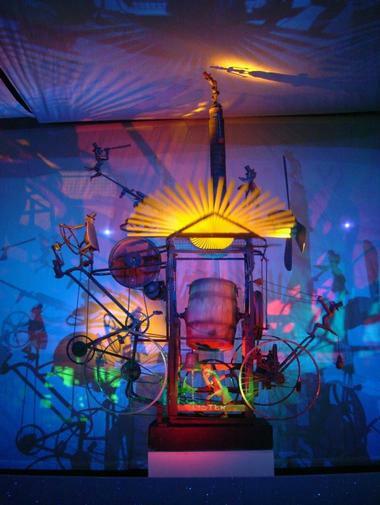 Located at Glasgow's Trongate 103 Arts Centre, the Sharmanka Kinetic Theatre is a mechanical theatre in which hundreds of large, fantastic kinetic sculptures made of elaborately carved pieces and bits of scrap tell the humorous but often tragic story of the human spirit. The plays, set to eerie, haunting music, are inspirational and thought provoking, and they fascinate both kids and adults. Eduard Bersudsky, a Russian sculptor now living in Scotland created the plays and sculptures. Many of Bersudsky's sculptures and wooden carvings are parts of museums and private collections all over the world. 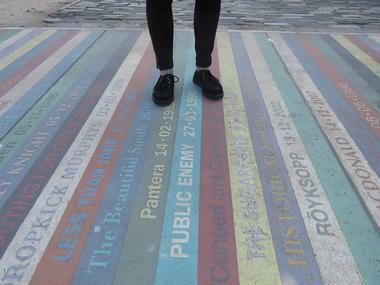 Glasgow Music City Tours offer walking tours of places, performances, and sites associated with people who have created Glasgow's music world. Knowledgeable guides will take you to special places and tell you the stories and anecdotes about legendary people who performed in them such as Paolo Nutini and Alex Harvey. You can choose between two different tours. Glasgow's Music Mile will take you around the city center and to Glasgow Royal Concert Hall, King Tut's, and Glasgow School of Art, and you will hear stories about the late Apollo and visit the home of Celtic Connections. The Merchant City Music - Past and Present Tour will take you on a walk through the Glasgow’s oldest streets and cover much loved venues such as Barrowland Ballroom and Britannia Panopticon, the oldest British music hall still standing. This area was the playground of greats such as Stan Laurel, Simple Minds, Billy Connolly, and Franz Ferdinand. 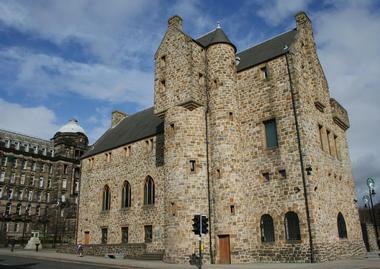 The St. Mungo Museum of Religious Life and Art is one of very few museums in the world completely devoted to religion. Located in Cathedral Square, the museum building was designed in the Scottish baronial style in 1989 by architect Ian Begg, who deliberately made it look much older. 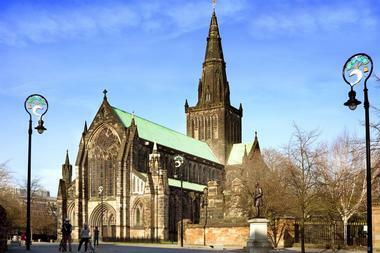 The museum is named for Glasgow's patron saint, St. Mungo who brought Christianity to Scotland. The goal of the museum is to promote cross-faith understanding and experience and to provide a bridge between people of different faiths or no faith. There are three permanent galleries with a wide, eclectic range of artworks and artifacts. One gallery focuses on Scotland's two main religions - Catholicism and Protestantism. There is a lovely Zen garden, a fascinating sculpture with Islamic calligraphy, and a beautiful bronze sculpture of the Hindu god of dance Shiva Nataraj. Located in the East End of Glasgow on the bank of the Molendinar Burn, Tennents Wellpark Brewery was founded in 1740. 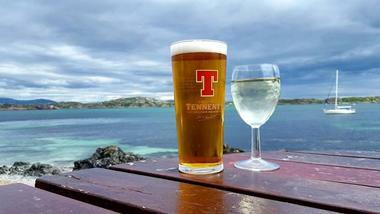 The venerable old brewery is the maker of Scotland's leading pale ale Tennent's Lager, which was first produced in 1885. Visitors are invited on a tour of the brewery's production facility, giving them a chance to learn what it is that makes Tennent's beer so great. During the tour, visitors can also see a collection of rare retro and vintage Tennent beer packaging, and they can watch a video of Tennent's most popular advertisements. Getting a taste of the latest product is part of the tour, and so is a stop at the shop where you can stock up on the favorite Tennent's products. Tennent's is an important part of Scottish tradition, and the brand is used to sponsor the country's music and sport, such as the largest outdoor music festival T in the Park, Scottish Futsal, and the Scottish Cup. The Burrell Collection is one of the finest private art collections in the world. Bequeathed to the city of Glasgow, the collection is open to the public in the galleries of the building specifically designed to host the collection in the wonderful green spaces of Pollok Country Park. The building itself is one of the finest examples of Scotland’s post-war architecture, and the collection of almost 9000 artworks is one of the largest, and the greatest ever made by one person. The collection consists of rare Chinese porcelain, objects of art from ancient civilizations, modern masterpieces by Degas, Manet, and Cézanne, and the masterpieces Rembrandt and Rodin. The Burrell Collection is one of the world's treasure houses, and a visit there is made even more special by the magnificent surroundings of Pollok Park. 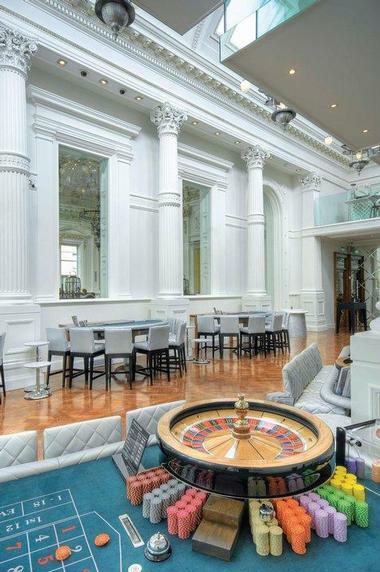 Located in Glasgow's Merchant City in the impressive former Glasgow Ship Bank with elaborate cornicing and gold leaf finish, the Corinthian Club is considered Glasgow's most "in" spot for a night out in style. Start with Teller's Bar and Brasserie, featuring a huge glass dome, ornate ceiling, spectacular chandeliers, and an impressive range of drinks and dishes. Stop by Charlie Parke's piano bar, let yourself be mesmerized by the opulence of the Flying Scotsman event space, get a cocktail while listening to some good piano music at Charlie Parker's, go dancing at The Club, or try your luck in the Cotton Club casino. 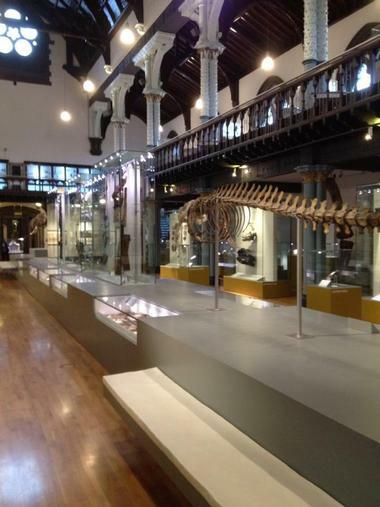 Hunterian is the oldest and one of most distinguished museums in Scotland. Part of the University of Glasgow, it consists of the Hunterian Museum, the Mackintosh House, the Hunterian Art Gallery, the Anatomy Museum, and the Zoology Museum. They are spread out around the University campus. When it was first opened in 1807, the Hunterian collection moved to the University's present site in Sir George Gilbert Scott's neo-Gothic building. Scottish scientist and anatomist William Hunter donated the collection and the money to build the museum. The diverse and eclectic collection he had accumulated throughout his life consists of coins, minerals, ethnographic materials, paintings, prints, books, manuscripts, insects, other biological specimens, and a superb collection of geological, zoological, anatomical, archaeological, ethnographic, and scientific instrument. 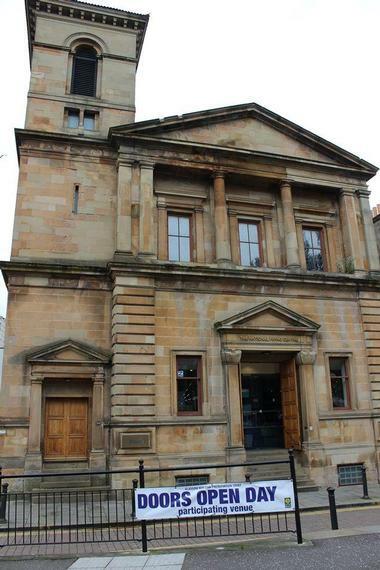 The National Piping Centre is located in Cowcaddens, Glasgow, in the beautiful former Cowcaddens Free Church. The center includes the Museum of Piping, practice spaces, and an auditorium. It was created to promote the study and the history of the Highland Bagpipe, and it serves as an international and national center of excellence for the Great Highland Bagpipe. The Bagpipe Museum contains artifacts from the collections of the Scottish National Museum. It is the most authoritative and complete display of its kind in the world. A part of the collection is the world's oldest piece of bagpipe - Iain Dall MacKay Chanter. The center offers various courses and try sessions and offers a world class piper for special events. The Necropolis in Glasgow is a beautiful 37-acre Victorian cemetery located next to Glasgow Cathedral, built in 1831 in the Classical Revival architectural style. The Merchants' House of Glasgow built the Necropolis, and its wonderful architecture, many sculptures, and a sense of history make it a fascinating place to visit. The Necropolis is very similar to the famous Paris' Père-Lachaise, and it is believed that about 50,000 people were buried in it, in about 3,500 tombs. The most dominant monument is that of John Knox. It was erected in 1825 and is located on top of the hill. 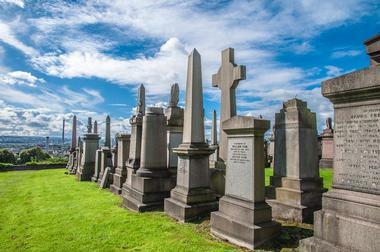 The Friends of the Necropolis organize fascinating guided walking tours. The Wee Food Tour will show you that there is more to Scotland than whiskey and bagpipes, and it will introduce you to traditional and popular Scottish foods, small independent eateries, and local dishes you might not be able to try anywhere else. The tours will take you through six different restaurants, small specialty shops, and family run businesses that specialize in particular dishes and products. You will taste more than 20 different foods that are new even to some locals. The tours take about four hours, and you will walk for about a mile and a half. Sorry, no alcohol - for that you will have to take a tour of breweries or whiskey distilleries. 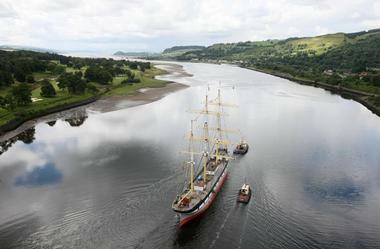 Glenlee is a three-masted steel-hulled barque built in 1896 for Glasgow owners. There are only five Clydebuilt sailing ships in the world that are still afloat. Restored and refurbished, she is now back to her former glory and serves as a museum ship moored at the Riverside Museum, located on Pointhouse Quay in Glasgow. A visit aboard Glenlee offers visitors opportunity to get to know more about life on the high seas. They can visit the galley, explore the cargo hold, take the wheel, and learn about her cargo, the ports she sailed, and the hard life of crew. The Tall Ship offers special events with a maritime theme, including tours, school visits, talks, and volunteer days. There is even a mini cinema aboard the Glenlee, and a tiny tots' play area in the cargo hold. 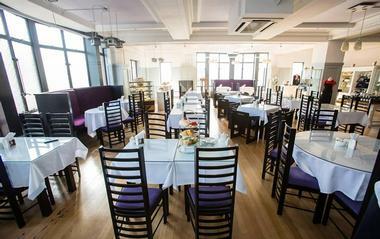 Located in Glasgow's "style mile," the Willow Tearooms (closed until 2018) were designed by internationally renowned architect Charles Rennie Mackintosh and opened their doors in 1903. The tearooms quickly became a very popular spot to have a cup of tea in Glasgow, and the popularity has not diminished to this day. Mackintosh built the lovely Art Nouveau building for Mrs. Miss Cranston, a local business woman who was a strong promoter of temperance. 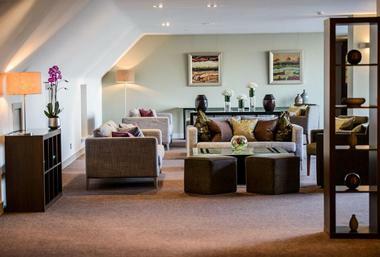 The Willow Tearooms are a wonderful place to have a traditional afternoon tea, and you can try many Scottish specialties such as Cullen Skink, Scrambled Eggs with Lapsang Souchong Smoked Salmon, Scottish Savoury dishes, Crab Cakes, Potato Cakes, Ciabatta, and the famous Willow meringues.